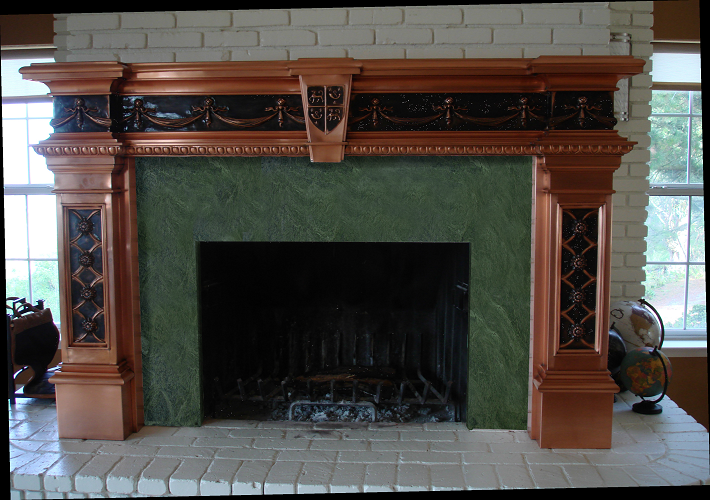 Custom fireplace surround with rubbed dark bronze patina on worked panels. Finish is clearcoat. All ornaments are hand formed.